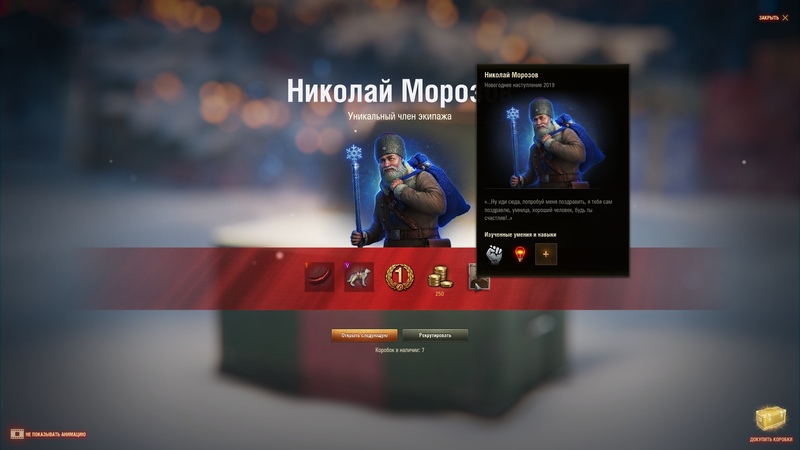 Unannounced, unique and New Year crew member – Santa Claus with 2 perks for some lucky players. Because remember kids, not only are the game mechanics based on luck, now obtaining ingame items also comes down to luck. It’s Simon Claws in the english speaking version. So is this why the crew skill rework hasn’t happened (if it ever does happen) yet? So they can sell commanders with 6th? Sad. This is not Santa Claus. This is Grandfather Frost, the Russian real deal before the commercialisation from Coca Cola into their own Santa. The Santa Claus is not a copy of the Grandfather Frost, but existed before in different cultures, but slightly different names.